The Nebraska men's basketball lost its 4th straight game with a 62-51 setback against Wisconsin on Tuesday night. LINCOLN, Neb. 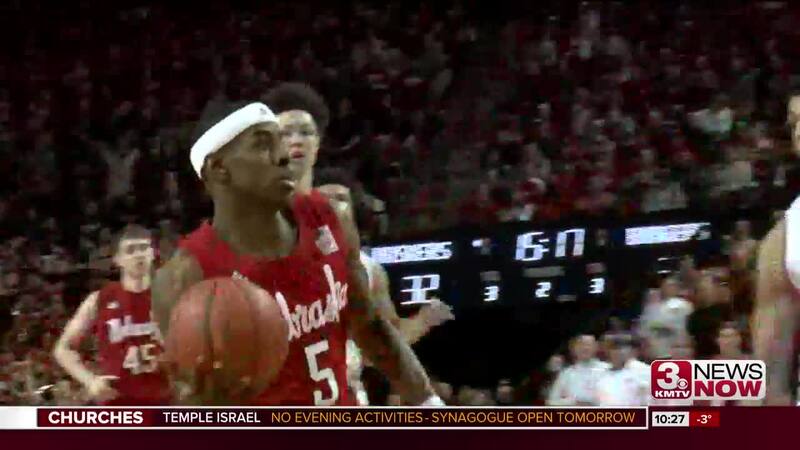 (KMTV) — The Huskers fought back from a 14 point first half deficit but couldn't finish the job on Tuesday night extending their losing streak to four straight with a 62-51 setback against Wisconsin. Nebraska had a 35-32 lead early in the 2nd half but then the Badgers took over. Isaiah Roby scored a game-high 18 points. NU fell to 13-8 overall and 3-7 in Big Ten play. The Big Red visits Illinois on Saturday.